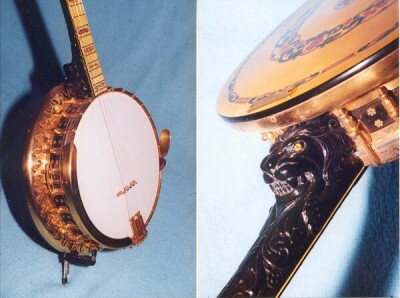 The Bacon Banjo Co. applied the name "Ne Plus Ultra" to their upper tier banjos. This series started with the # 6 and went up to the # 9. However, more # 6's were produced than all the other top numbers put together. Ne Plus Ultra is a Latin term that translates to "The Ultimate". 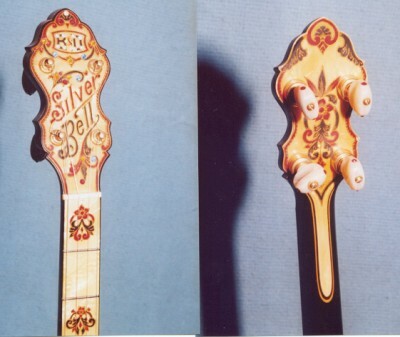 Most number 6's were produced as seen in the B&D catalogs of the day, but many others were custom made, to the owners choice. Pictured here is one of those. It's serial number of 24204, shows it was built in 1928, and is a cross between a # 6 and a Montana # 7. The neck is made of ebony. The outer rim of the shell has the classic "snowflake" design of mother of pearl inlaid into the ebony veneer. All the metal parts, and engravings are the ones usually found on a # 6. 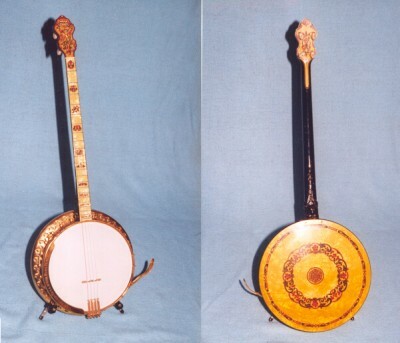 The rest of the banjo's decorations are those normally seen on a Montana # 7. 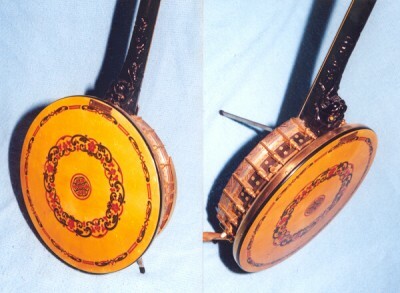 The fingerboard, front and back of the peghead, as well as the back of the resonator are all covered with the pearl grained celluloid known as pyralin, and identical to the # 7 Montana.